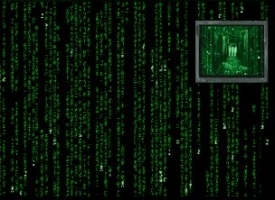 "A cool, simple Matrix screensaver for Matrix fans or any techie that wants a techie screensaver." 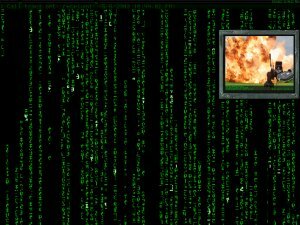 This Matrix screensaver is a cool, simple screensaver for Matrix fans or any techie that simply wants a techie screensaver for their PC. Unlike other Matrix screensavers, this one features actual Matrix characters rather than the look-a-likes you commonly see when looking for a Matrix screensaver. It isn't just a Matrix screensaver either, this screensaver has a lot of options you can choose to personalize the screensaver to your personal liking. Having a lot of options, a few of them really stand out. Kelly Software's Matrix Screen Saver features options of different colors to choose from, including: red, yellow, white, blue, gold, pink, or a rotation between them all. You can even specify how often it rotates through all of those colors. You can display an image within the Matrix with images with the JPG format and adjust that image's transparency. As well as colors and images, this Matrix screensaver can display text from a text file, a slideshow of images from a folder of your choosing, and even play your favorite MP3s while your screensaver is active. Kelly Software has really covered everything when it comes to personalizing your screensaver to your liking. The more options, the better! One unique feature that you don't normal see with any screensaver is the ability to display a web page on top of the screensaver or on a portion of it. You can display the news, your favorite site, or favorite blog. The extent of the options to personalize it to the user's preference is what sets this specific Matrix screensaver apart from the rest and is why, if you are a fan of the Matrix, you should give it a try!